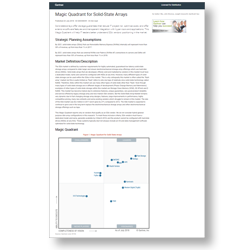 Get the information you need to make the right storage decision. 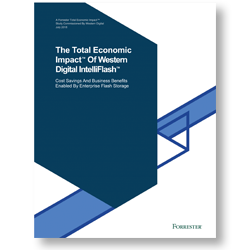 Forrester examines the potential ROI for IntelliFlash enterprise storage. 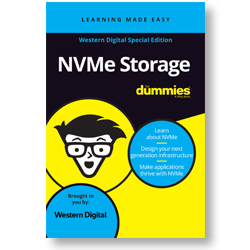 Check out what the experts say about NVMe in this easy-to-ready guide. Learn how IntelliFlash can make your data come to life. 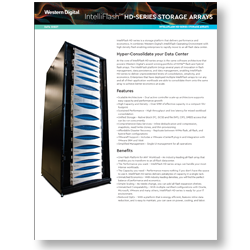 Hyper-consolidate your data center with a high-density all-flash storage system. 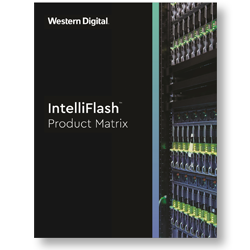 Get detailed specifications for all of our IntelliFlash configurations. Get a flash storage system that can help your organization accelerate business-critical applications, simplify storage management, and reduce costs by consolidating a variety of workloads onto a single system architecture. 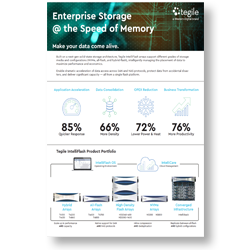 Addressing both Big Data and Fast Data needs of an enterprise, the IntelliFlash portfolio of NVMe, all-flash and hybrid-flash arrays offers you a wide range of storage choices to meet the performance and economic service levels of every application and workload. © 2018 Western Digital Corporation or its affiliates.